Queens NY's only Madteo with yet another splendid trushmix of $1 wax and ultra fresh gems - so new they haven't even hit the stores yet. 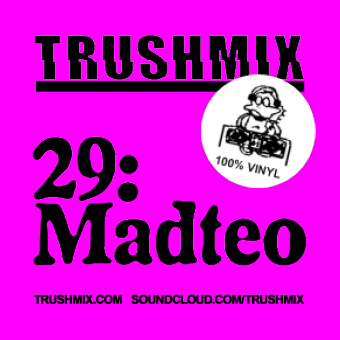 As many of his previous mixes there's a blend of not-too-dusty-but-still-overlooked disco from the 80's and 90's, chugging Detroit house, local obscurities and of course the occasional classic. Enjoy these 79 minutes mixed in 85 degree hot NYC by this one of a kind digger while you wait for the brand new 12inch WANIA-11372 featuring none other than - Madteo himself.